Dedicated to the talents of the first generation of American animators. Les Elton was born Leslie Elton Brownley on August 27th 1893 in Lock Haven, Philadelphia, to William Brownley and Nina May Bentley. His father was a furniture polisher, and Les seems to have spent most of his childhood in Philadelphia, except for a few years around 1900 where the family moved to Waverly, New York. Around the turn of the 20th century, lightning sketching (a cartoonist drawing and entertaining before a live audience) was very popular in theater and vaudeville. 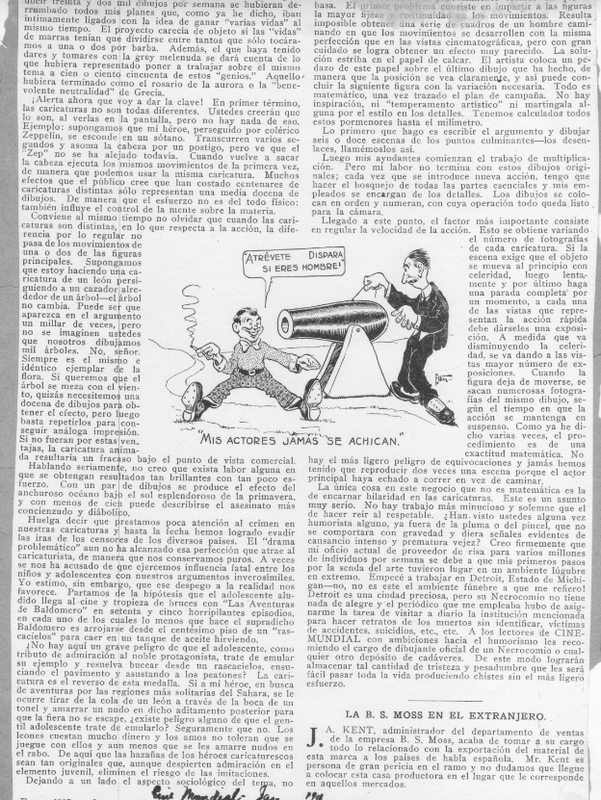 Most of the first generation of American animators, who began working in the mid teens, could trace their careers back to either newspaper cartooning or lightning sketching. In the November 7 1908 issue of the Billboard, a magazine advertised as “America’s Leading Amusement Weekly”, a fifteen year old Leslie Elton is listed as a performer at Philadelphia’s Lubin theater, with 15 or 20 other acts. In 1910, he was a performer at a Philadelphia bottler’s association convention, where he was billed as “LESLIE ELTON- COMEDY CARTOONIST”. A photograph from this convention reveals the massive audience the 17 year old Elton performed for; the article recalling 1,435 people in attendance! Reading this, you’d think that Elton was quite successful for his age. However, he is oddly enough listed as unemployed on the 1910 census, a possible indication that his line of work was considered shameful, or at least not considered a real job. 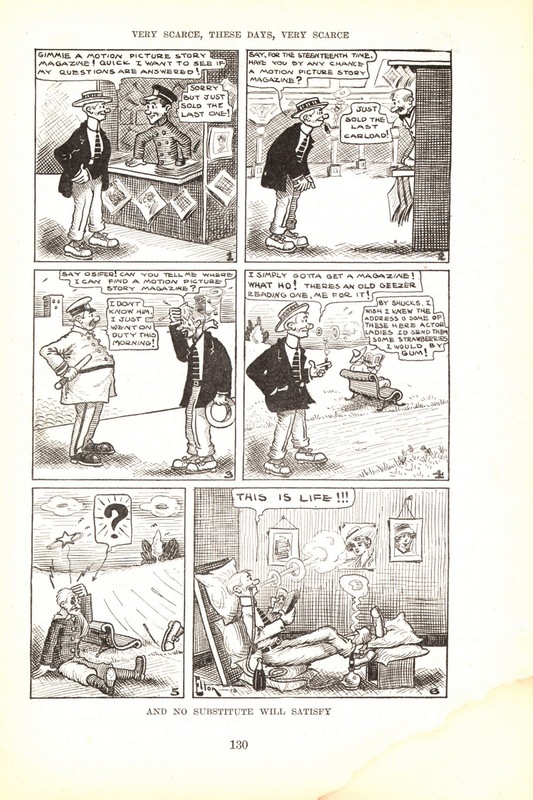 earliest printed work of his I’ve been able to find is a 1913 comic strip from “Motion Picture Story Magazine”. 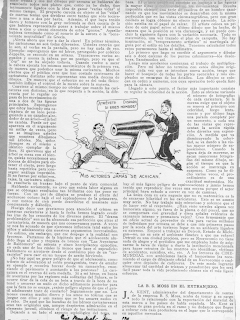 Most interesting about this is the fact that the magazine was edited by James Stuart Blackton, who not only had been an acclaimed lightning sketcher himself in his youth, but had animated the first animated cartoon “Humorous Phases of Funny Faces” in 1906! 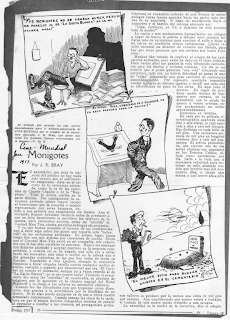 More Elton strips may have been published in “Motion Picture Story”, and a few years later Elton was drawing for the short lived film periodical “Photo-Play Journal”, a less successful knock off of the more famous “Photoplay Magazine”. Elton’s career in Newspaper cartooning was at first primarily concentrated with his hometown of Philadelphia. 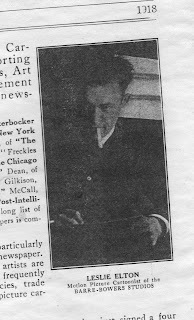 He was known to have drawn for both the Philadelphia Record and Public Ledger, as well as the St. Louis Globe Democrat. I’m unsure of the time period of his involvement at the Globe Democrat and the Record, but his cartooning for the Public Ledger was mostly in 1915, and mostly consisted of one panel gag cartoons, many under a series titled “the Way of Wimmen”. 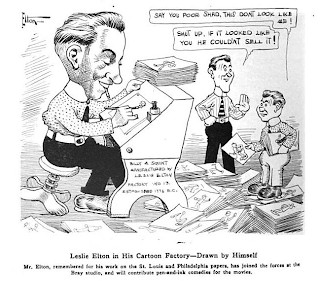 Like many artists of his generation, Elton studied through the popular Landon school of cartooning, founded by newspaper editor and cartooning guru Charles Landon in 1909. As noted earlier in the article, Elton had been active in cartooning earlier than 1909, so although already working professionally he must have felt a need to improve his skills even further. 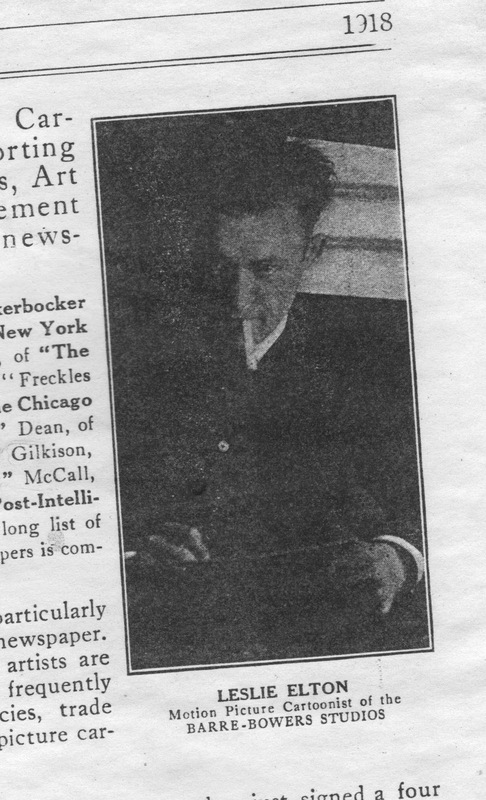 Elton seems to have completed the course around the end of 1915, as for the first few years afterwards, Elton was one of the “famous artists” featured in ads for the school, starting in a January 1916 ad stating that he’d connected with the “Eastern Cartoon Syndicate” of Philadelphia. 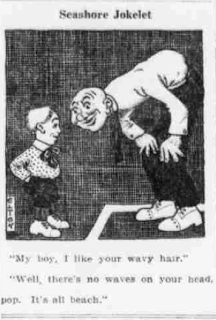 The ad shows an example of a strip he drew titled “Billie and Squint”, a Mutt and Jeff-like pair. I’ve yet to find a Philadelphia paper that ran the strip, if it ran at all (Update 11/14/13: The strip apparently ran in the St. Louis Globe-Democrat sometime in 1915). Some sources say that Elton’s job at Bray was to take over the Colonel Heeza Liar Series, although I’d say this is slightly unlikely. The one Heeza Liar clip I’ve been able to view from the post September 1916 period Is “Col. Heeza Liar, Hobo”, which is most certainly not in Elton’s style. However, the film was released on November 16th, so there is a possibility that it was made 3 or more months before its release and is the last cartoon made before Elton joined the studio. “Colonel Heeza Liar on the Jump”, which was released in February 1917, exists in an archive, and so if I’m ever able to view this it’ll solve the mystery, for a film released this month would most likely have been completely produced after September 1916. There is also the possibility that Elton was involved only in story for these films. The only job that Elton was definitely responsible for at Bray was ghosting promotional comic strips signed by the other animators. The plots of the strips seem to be taken from actual cartoons of earlier the same year. Allan Holtz over at Stripper’s Guide has scanned most of these: http://strippersguide.blogspot.com/2011/06/obscurity-of-day-paramount-bray.html. The strips that I believe were ghosted by Elton were the three Farmer Al Falfa comics, Bobby Bumps starts a lodge (but not the other Bumps strips), and most obviously the three Col. Heeza Liar strips. These can be identified as Elton’s by comparing the handwriting and drawings to Elton’s signed “Billie and Squint” strip of earlier the same year. Perhaps the strongest indication that Elton had something to do with the Heeza Liar series comes with his departure from Bray, as he left in June 1917, and the final entry in the series (until it was revived by Walter Lantz in 1922) was released 2 months later. is now completing an animated cartoon featuring his two cartoon comedians that will be released shortly on the Universal Program under the title of “Billie and Squint in Palm Beach”. Elton claimed to have left on his own accord, but It’s worthy to note that no cartoonist at Bray was promoting themselves quite as heavily as Elton was, and I’d imagine that a young, eccentric, and egotistical upstart like Elton may have been disliked by seasoned practical cartoonists such as J.R. Bray and Earl Hurd. 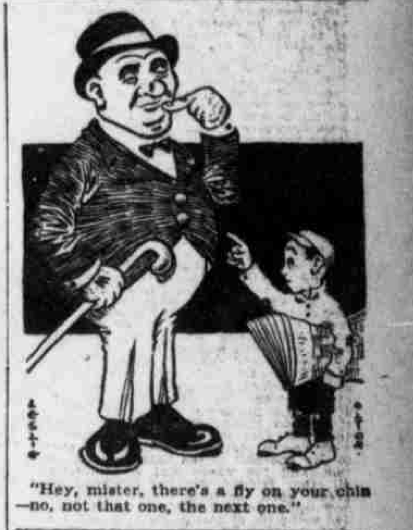 Meanwhile, news of Elton’s exploits continued to appear in “Cartoons Magazine” and elsewhere. 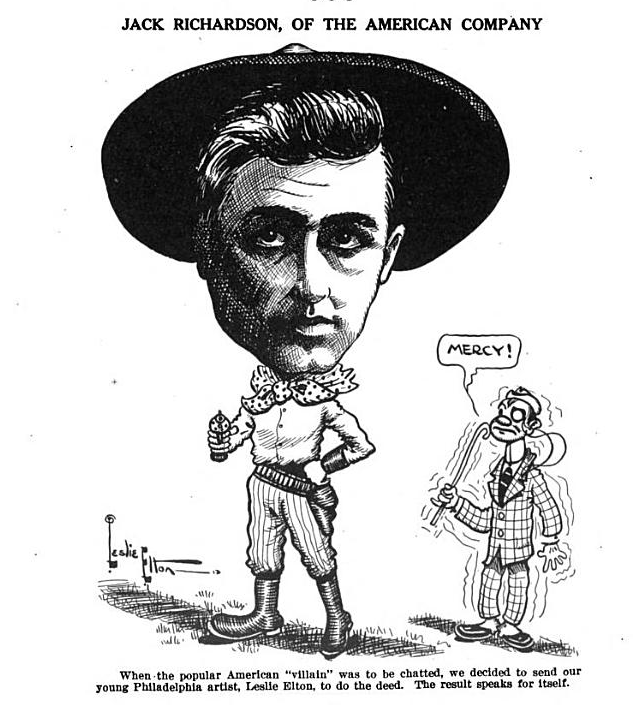 Although Elton claimed that Universal was releasing his Billie and Squint cartoons starting around June 1917, not even the copyright dates of these films survive, if they were even produced. The first known Elton cartoons to be released by Universal are a trio of World War 1 themed efforts from 1918: “Liberty on Guard”, silhouette“Hooch Der Kaiser”, and “Doing Their Bit”. A Landon ad of that year in Cartoons Magazine reveals that Elton was also employed by the Barre-Bowers studio, likely animating on Mutt and Jeff cartoons. Also In 1917, Elton filed a patent for a method he had developed for producing animated cartoons that also incorporated live action. 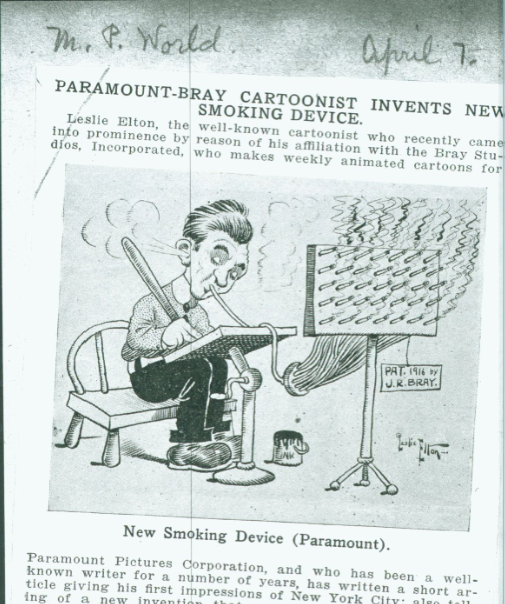 This was very ahead of its time for 1917, as only Otto Messmer’s “the Trials of a Movie Cartoonist” had exploited this device to date. The patent involved photographing live action, making a print of the original negative, projecting said negative blown up over a glass box and then drawing in a character. The background around the character was then opaqued, and then printed negative to create a character in silhouette. This was then photographed again to make a white silhouette on a black background. The white silhouette was then superimposed over the live action negative background, and printed once again to make the final image. 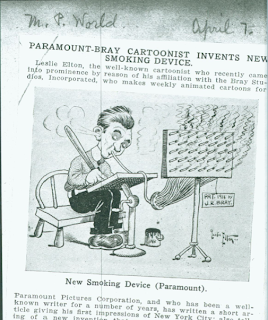 It was a clever concept, and used at least once by Elton after its approval in 1920: his cartoon “Cinema Luke” was copyrighted as having a combination of live action and animation. By 1919, Elton reached his most productive period at Universal, directing 50 installments of a series known as the “Whozit Weekly”, as well as 12 or more named shorts. These seemed to revolve around insects (the Courteous Cries of a Cricket, How Many Bars in a Beetle’s Beat, Aphides the Animated Ant’s Advice), and many sound quite interesting based on their names alone. The last known silent cartoons Elton directed were at least two installments of “Cinema Luke” and “It’s a Bear”, all of 1920. Upon his arrival in New York, Elton lived in a cozy apartment 5 blocks away from Bray studios. At the time of applying for his patent in 1917, he was living in Union Hill, New Jersey. According to 1920 census information, Elton next lived in New Jersey with animators Vaughan Kaufman and John McManus. McManus was directing cartoons for Affiliated Distributors in 1921 and 1922, and it’s possible Elton may have done uncredited help on these. However, this is unlikely for three reasons. First, McManus already had a partner on these films, a mister R. E. Donahue. Second, Elton was married in 1922, so he most likely left his home with McManus and Kaufman. Third, Elton had already turned back to strip cartooning by July 1922. The strip was a pioneering effort in continuous adventure strips known as Jack Daw’s adventures. In it, a young boy and his dog embark on a journey through a rural landscape occupied by cowboys and giant animals. He was also known to have drawn a strip titled “Children’s Stories in Pictures” The Jack Daw strip seems to have lived on for at least a few years, but by 1925 Elton had been replaced by another artist. The majority of Elton’s surviving work is from the teens and early 20s, and very little has been found dating from after this. Interestingly enough, his best known work is one of the two or three things we know of that dates from later years: his 1931 pilot cartoon “Monkey Doodle”. Elton produced this for former Bray staffer Jaques Kopfstein, with the help of his stepson Robert Bentley who later became a respected west coast animator. Afterwards the Eltons headed to California, where in 1935 Les produced “The Hobo Hero”, and around the same time Robert got a gig at the Warner Brothers cartoon studio. “Hobo” is the last known work by Elton: he is listed as a commercial artist on the 1936 census, but stops appearing all together after 1941. He died in North Hollywood in 1966. BTW special thanks to Tom Stathes, David Gerstein, Mike Kazaleh, Milton Knight, Joe Campana, and Mark Newgarden for their help with this over the years. Charlie, if you check the 1910 census return, you'll find Frank and Hannah Bentley were not man and wife. Frank was a widower and much older than Hannah. Hannah's husband was a John H. Bentley. They married in 1906, according to state marriage records. In 1910, he was living in what looks like a boardinghouse. The two had their third child after that so they evidently were together. I haven't been able to figure out when John died. There's no record of him as a WW1 casualty. But he was dead by 1920. Thanks for the correction! More info on Les Elton and the Bentley family has been turning up in the past few months, so I'll be writing a follow up to this post sometime soon. I'll include that info and credit you. No problem, Charlie. I have a short blurb on Bentley in a post that'll be on the Yowp blog in mid-January (I'm working ahead). I found this after I posted which gives specific dates and Bentley's middle name. Thanks again Yowp! Looking forward to your post in January. A friend told me recently that Mike Barrier tried to interview Bentley at some point, but that he was "terrified" of giving an interview. Really a shame. 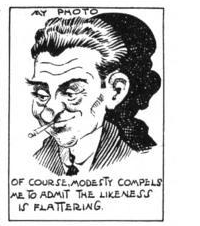 Based on T. Hee's caricature of him from the 30s he looks like kind of a crazy guy. It's a shame when they don't open up. By the way, here's that other cartoon!